Gain advanced skills in designing and facilitating transformative, cerebrally engaging and agency activating knowledge transfer experiences with our UnSchool Educator Certification Track. This is advanced learning experience is designed for committed and established practitioners wanting to significantly advance their capacity as facilitators of change and obtain certification from the UnSchool in our methods, techniques and experiential pedagogy. 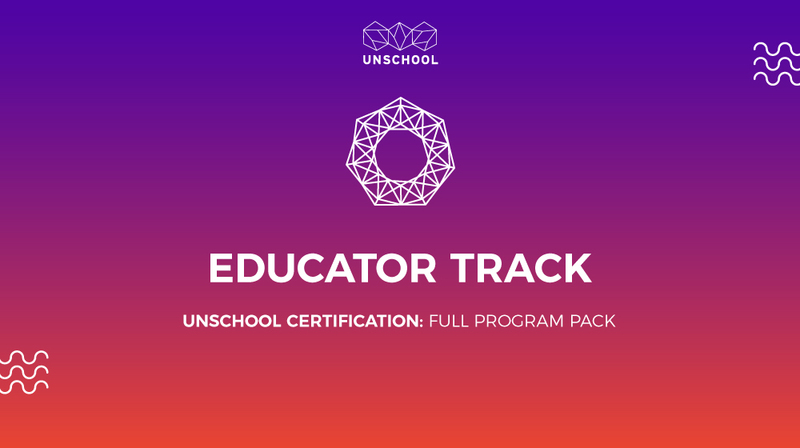 Welcome to the UnSchool Certification Tracking Systems! A quick note on reflections! Cognitive Science: Are Humans Rational? People wanting to master facilitation of transformative educational experience design and delivery. This program is deep and designed for people who have established skills in facilitation and want to develop a career in facilitating change. Our certification program aims to foster and support a community of expert practitioners interested in advocating, educating and enabling proactive sustainability and socially motivated change through the Disruptive Design Method. The certification programs are designed to maintain a high level of integrity within the community while offering a ‘leveling-up’ process to dedicated educators and community advocates. Each chapter in the learning track is connected to the overarching learning goals of reflection, critical thinking, systems thinking and advancing your ability to agentize yourself as a creative change-maker. Each track supports this at different levels of professional development. This Educator Track is a high level training program and has prerequisites. This program track is paced to support your learning. New content (chapters) is released monthly with corresponding challenges and actions. After 12 months of core knowledge building and practice, you will have a 3-month mentorship that supports you during your final challenge process. Occasionally we may offer a live online training and feedback session to support people tracking to educator certification, but this is predominantly self-directed learning! WHAT IS THE TIME COMMITMENT AND FORMAT OF THIS TRACK? This is a 15-month program with content delivered online monthly. With each monthly release you will find weekly sessions with videos, readings, and actions. You may sign up for 1:1 office hours if you need live support. There will also be the opportunity to attend live digital lectures with UnSchool educators and mentors. Remember: this is an online, self-directed learning format so your level of engagement with the material is up to you. You will get out what you put in. The entire program should take you around 400 hours and involves a 3-month mentorship and final capstone challenge. WHAT IF I WANT TO DO IT FASTER THAN 15 MONTHS? You can take the fast track program which is delivered across 6 months as an intensive. You will still need to complete all community activation points, do the 3-month mentorship and deliver your final challenge along with your process journal. WHAT IS THE DIFFERENCE BETWEEN EDUCATOR AND UNMASTERS? The UnMasters track is perfect for career changers or people working internally within organization to facilitate change. 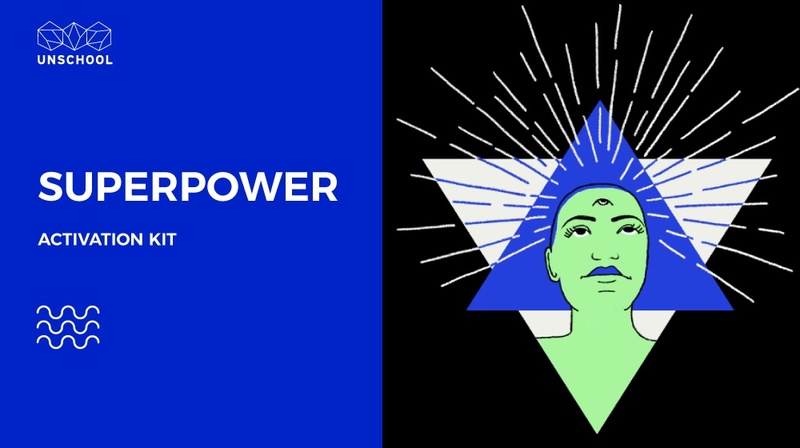 The Educator track is for people who have already established their career, have done projects in creative change, and are looking to expand their change-making to a broader context (external to their "work"), and in collaboration with the UnSchool. WHAT DO I GET AT THE END OF THIS? UnSchool educator certification is the highest level of validation we offer and is only awarded to people who demonstrate mastery through challenging for their certification. Certification is offered by the UnSchool and is only awarded to people who successfully complete the set challenges, process journal and demonstrate a high-level ability to synthesize and deliver the content. Upon completion of all required elements a certificate (valid for 1 year) is provided, a digital badge and registration on our directory of facilitators with access to opportunities (at our discretion) to work with us to teach our content around the world. Certified practitioners are also empowered to run their own programs utilizing our content. Please read our full terms and conditions to find out more about our certification program. This is a self directed program but we do offer office hours, email support and as part of this program you have to attend a face to face program at some point to connect to the growing global community. You will do a 3-month mentorship with an UnSchool educator and also we strongly encourage you to do an apprenticeship to further advance your facilitation mastery. CAN I GET A SAMPLE OF THE CONTENT? Yes! You can get a free sample of some of the weekly classes. If you sign up and don't feel it's the right fit for you, we will issue a full no questions asked refund if you let us know you want to cancel within the first 30 days.